Fluocinonide cream usp 0.05% is intended for topical administration to treat a variety of skin conditions. It’s typically used to treat skin rashes that are caused by allergies, itchy or inflamed. It should not be used to treat skin rashes that have become infected. It works by reducing inflammation of the skin. The active component in each is the corticosteroid fluocinonide and the concentration 0.05% is the common prescription concentration. Each gram of Fluocinonide cream usp 0.05% contains the following ingredients; 1,2,6-hexanetriol, citric acid, glycerine, polyethylene glycol-3350, polyethylene glycol-8000, propylene glycol and stearyl alcohol. This white cream vehicle is anhydrous, greaseless, non-staining, and completely water miscible. The base offers emollient and hydrophilic properties. Apply a small amount gently onto the affected area two to four times daily and rub it in well, as needed or as directed by the doctor. Fluocinonide cream is not usually used on sensitive skin areas such face, groin, underarms, etc. except when instructed by the doctor to do so. As well, once you apply the cream on a specific area you are not allowed to cover it with a dressing except when advised to do so by the doctor. Exercise extreme care when applying Fluocinonide cream on lesions close to the eye. One can experience rigorous irritation in case the cream gets into the eye. If this unfortunate incidence happens to take place, you are advised to instantly flush the eye with a lot of water. A lot of things can impact the dosage of a prescription medication that someone requires, for example weight of the, additional health conditions, as well as other medicinal drugs. In case your physician has advised a dosage not the same as Fluocinonide cream usp 0.05%, you should not modify the manner in which you are applying the cream without talking to your physician. 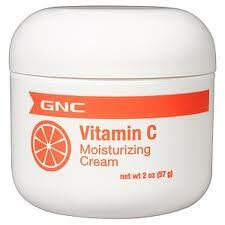 It is vital that you apply this cream precisely as recommended by your physician. Should you miss out on a dosage, apply it the instant you remember. In case it is nearly time for the next dosage, bypass the skipped dosage and carry on with your usual dosing routine. You should not apply a double dosage to compensate for a skipped dosage. In case you are uncertain how to proceed once you skipped a dosage, get hold of your physician or pharmacist for suggestions. In cases where there are symptoms of a serious allergic reaction such as severe rash, hives, swollen face or throat, or difficulty breathing, then one has to cease applying the cream with immediate effect and seek instant medical attention. In certain cases, some people may experience side effects other than those listed. Please see your physician if you notice any worrisome symptom while using Fluocinonide cream. Keep Fluocinonide cream at room temperature, preserve it from light as well as dampness, and most importantly store it away from the reach of kids. Tend not to get rid of prescription creams in wastewater for instance down the sink, in the lavatory or even in house trash. Inquire from your pharmacist the best way to get rid of prescription creams which are no more required or maybe have expired. 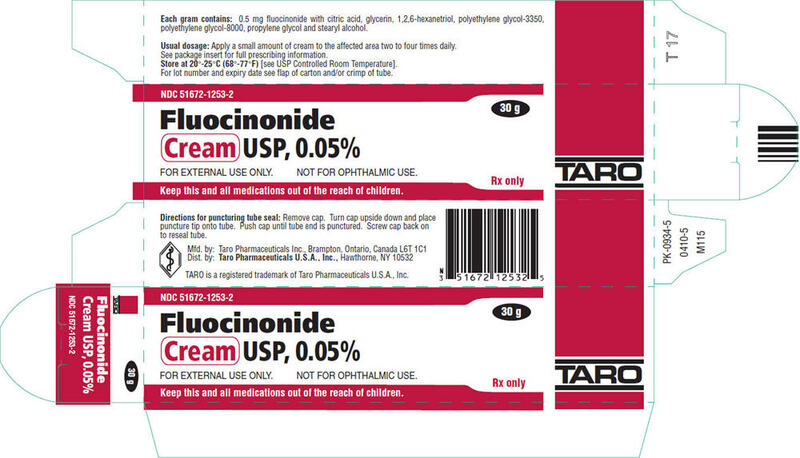 Fluocinonide cream should not be used if one is allergic to fluocinonide or to any of the ingredients of the cream. As well to one who has untreated bacterial, tubercular, fungal, or most viral lesions of the skin (including herpes simplex, vaccinia, and chickenpox). Infection: One might get a secondary infection while using Fluocinonide cream. Should this unfortunately happen, you should see your physician. Internal absorption: Substantial internal absorption may take place while steroid drugs are often used over significant parts of the body. To attenuate this likelihood whenever long-term treatments are envisioned, your physician could advise you to occasionally stop applying the cream or to deal with one region of the body at any given time. Medical conditions: Those with stasis dermatitis as well as other skin conditions related to damaged blood circulation need to consult with their physician the way the cream may possibly impact their medical problem, the way their medical problem may possibly impact the dosing along with performance of this cream, in addition to whether or not any kind of particular overseeing is required. Medical treatment: Notify all of your physicians you have applied a cream containing corticosteroid before. Response to treatment: In case your skin condition does not get better after few days to a week, then make sure you see your physician. You might need a higher dosage or even an alternative treatment solution. Thinning of skin: Lengthy periods of applying Fluocinonide cream may well develop skin thinning as well as tissues beneath it. Should this be observed, contact your physician immediately. Pregnancy: The cream ought not to be applied while pregnant except in cases where the health benefits surpass the potential risks. 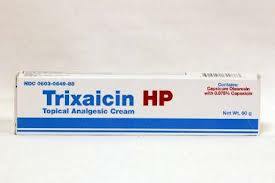 In the event you get pregnant whilst using this cream, get hold of your physician right away. Breast-feeding: Corticosteroids in Fluocinonide cream might get into breast milk. In the event that you’re a breast-feeding mom and are using this cream, it might have an effect on your infant. Confer with your physician regarding whether or not you should keep breast-feeding. What other drugs could interact with Fluocinonide cream? There may be an interaction between Fluocinonide cream and other topical medications that have corticosteroids or that have irritating effects. In the event you are using any these medications, inform your physician or pharmacist. Also, it’s advisable to inform them about all prescription, over-the-counter (non-prescription), and herbal medications you are currently using. Even if they are supplements, make sure you tell them too. This is to avoid any possible complications from mixing medications.